I didn’t get any St. Patrick’s Day cards done for this year but still wanted to play in the Monthly Challenge at From the Heart Stamps so now I have a card ready for next year!! I used Tuesday Morning Sketches #395 for my inspiration. 1) From the Heart Stamps – Monthly Challenge – use the stamp provided and get next month’s image FREE! 2) March Inspirational Card Challenge – Favorites Category – used a past sketch I saved. So then I decided to do the color scheme at the Feb Inspirational Card Challenge @ Scrapbook.com which is the colors above except for gold it should be silver. But had to have gold on a St. Patty’s Card!! I did cut out the shamrock and had the negative space like on the inspiration but didn’t like it as much as just pop dotting a shamrock on the white piece. I don’t do cut outs well!! 1) Feb Inspirational Card Challenge – color category – use the colors provided as your inspiration. I stamped on textured cardstock so it gave it a different look. Now let me tell you I’m not a stamper so after trying to stamp a saying and that not working… I thought the saying needed to be heat embossed. Well I couldn’t find my stamp buddy to keep the powder from getting on other parts of the card so I went back to my trusty computer!! I stamped with pencil erasers and the big ones are daubers….now to find a mini and medium dot. (I tried q-tips but unless they were tight they didn’t work right). 1) Feb Inspirational Card Challenge – Technique Category – pencil eraser stamping. I made this card as one of our projects for the retirement home. Unfortunately mother nature decide to drop 6 inches of snow last weekend so it was cancelled. So I will save all the card kits for next year but I wanted to share it with you today. I am also using it as my sample for the March Anything Goes challenge at Crafting by Designs. 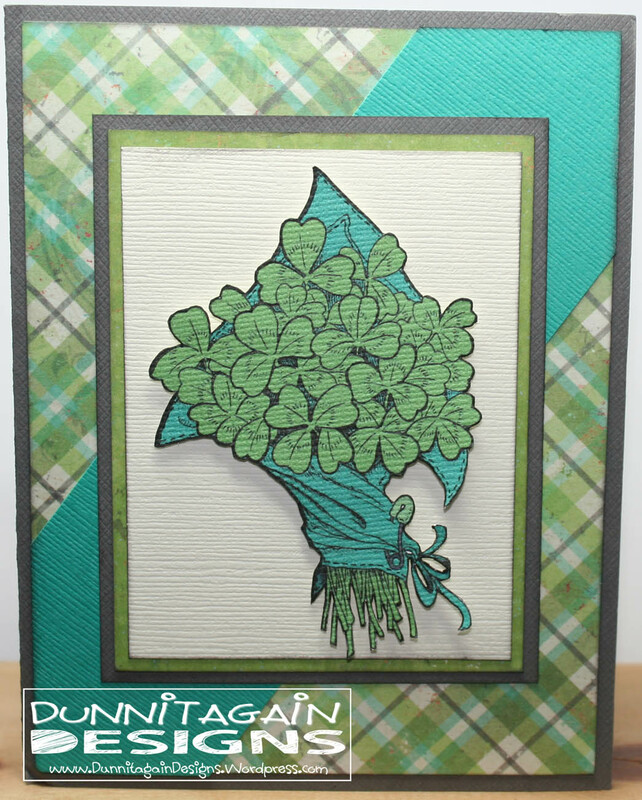 A bouquet of clovers just for you! Today I’m getting to create just to create. 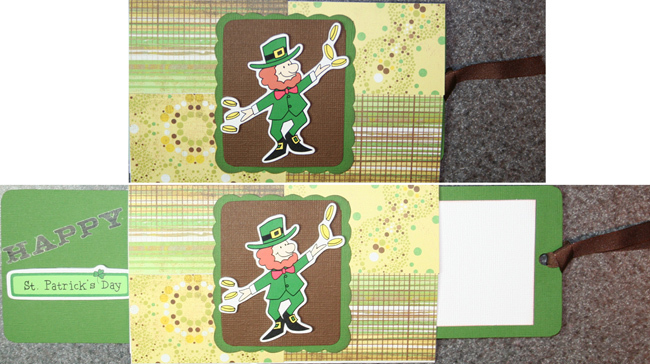 I do need a need a card for a secret pal but any St. Patrick’s Day card could work for that. 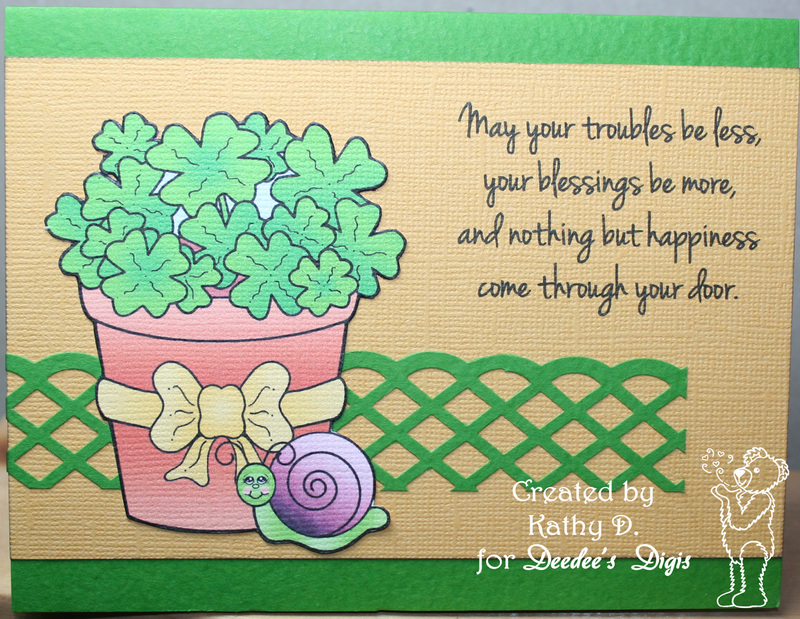 I found this wonderful image, Shamrock Digital Stamp, at Waltzingmouse and it is FREE! My husband colored it in photoshop for me. I told him not to work about making it fancy with shadows and shading but I still think it looks great. I bought this paper just for this card….I was hoping to have a card class before March 17th but that didn’t happen. I used Sweet Sunday Sketch #209 for my inspiration. 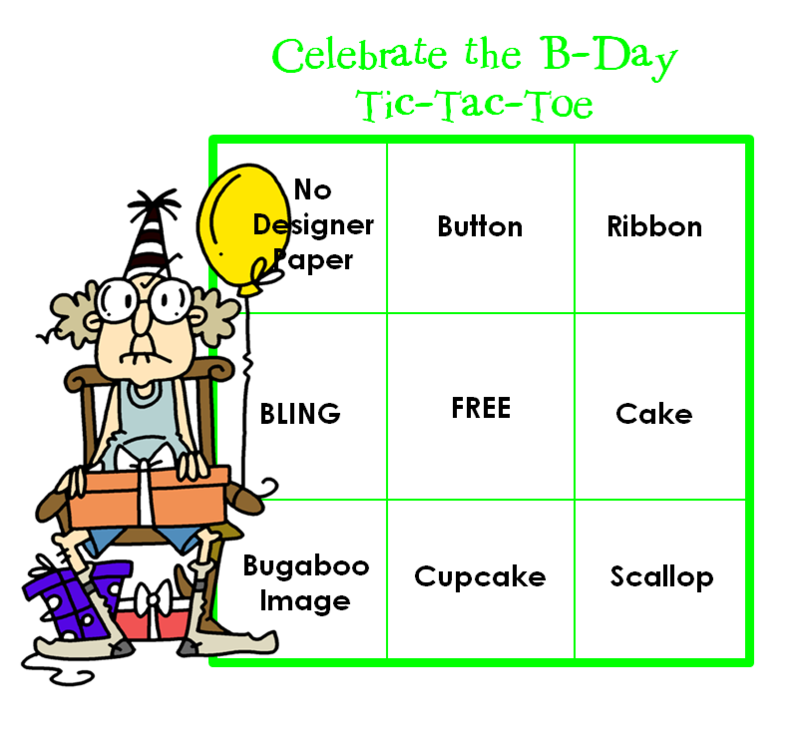 Well Bugaboo is turning 4 years old and is celebrating all week long. I’m trying so hard to play in the challenges but with a full work week I’m not sure what I will get done! But I did manage to get one of the challenges done! I used My Favorite Things Card Sketch #159 as my inspiration. I did a diagonal line from the bottom left – Bugaboo Image, Free, Ribbon. I decided to do a St. Patrick’s card and do a birthday card later in the week….pretty sure the theme was open as long as you did a line on the bingo board. 3) Inky Chicks Challenge #21 – Bingo Board – any 3 on the board. I did metal embellishment, tag, ribbon. Day 6: Super Sketchy Sunday! Everything is scraps except for the green cardstock and the base white card. 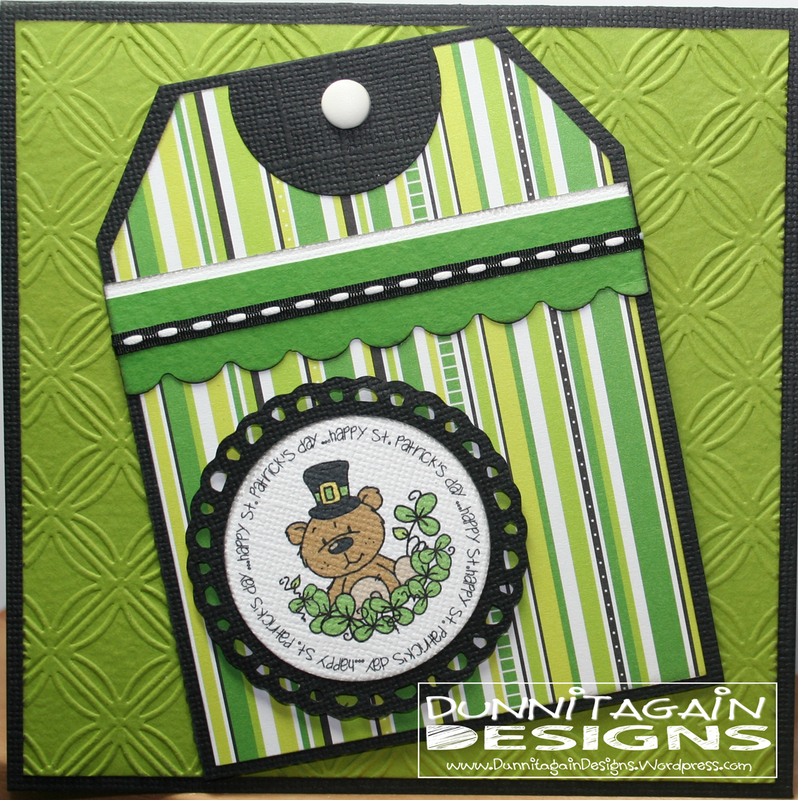 St Patrick Day 3-D embellishments – I have no idea! I remember picking them up years ago since they were cheap and knowing they could be used on a card or page.